This year, until next year Sony Ericsson seems to have prepared some "weapon" for attacking global Android mobile phone market. It is shown from a series of products that had been prepared manufacturer headquartered in London, UK. One candidate for a new phone that is being developed by Sony Ericsson is ST18, which has the codename Urushi. Seeing the body makeup, Urushi practically as a tiny version of the model that has been circulating in the market, Xperia Arc, where the screen was now limited to 3.2-inch diagonal. However, although appearing more petite, with a small screen treats as well, according to the source of 'secret' as quoted by GSMarena mentioned that the Sony Ericsson Urushi was present with similar specs with Xperia Arc. Snapdragon chipset is 1 GHz, with Scorpion CPU and GPU Adreno 205. Based on the data obtained, the display resolution of 854x480 pixels would Urushi. 8 MP camera, which can record 720p video and features LED flash light. 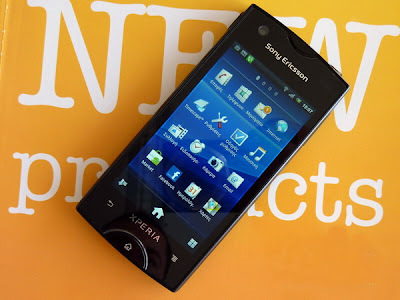 Meanwhile, on the software Sony Ericsson ST18i mentioned will run on Android OS 2.3.3 Gingerbread, which has customized the style of Sony Ericsson. Unfortunately, not yet known when the phone is starting an official release to the market. Let's see its development.